Editor's note: In the original version of this article Grayson Brulte's last name was incorrectly spelled. It has been corrected. Reporting on self-driving cars gives journalists a chance to rise above the ideological bickering that defines most of the national debate today. The operating standards of sensor configurations or specs on a software stack don't exactly appeal to partisan fodder. But on Thursday, the announcement that 15 mobility companies -- including banner names such as Uber, Lyft, and Zipcar and smaller upstarts such as Via and Ola -- have signed on to a pledge to adhere to core principles for ethical deployment of self-driving vehicles set off a small skirmish online between progressive advocates of shared mobility and free market-types skeptical of heavy-handed control of development of this new technology. It foreshadows the debate to come, when self-driving cars hit the streets en masse and cities and states across the nation have to make tough decisions on what is and is not allowable in their jurisdictions. 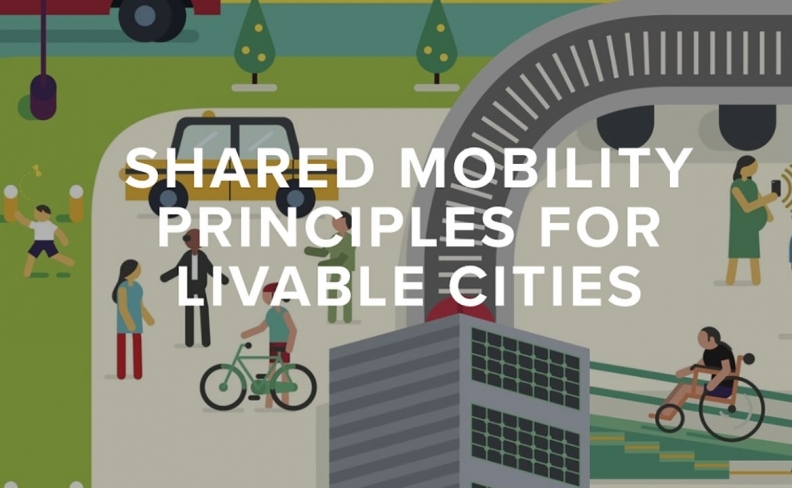 The "Shared Mobility Principles for Livable Cities" pledge comes off as benign (People over vehicles! Promote equity!) but masks a deeper philosophical debate that goes back a century to the beginning of urban planning. Namely, how active a role should coordination and regulation play in our transportation, and what do services that get some degree of public support via roads or licensed monopolies owe their customers? "All this is doing is supporting a political ideology," said Grayson Brulte, an autonomous vehicle consultant who advises Beverly Hills, Calif. "I consider myself for the free market, but I think there will be shared and there will be private. What this coalition is proposing is anti-competitive; it's eliminating choice." But it wasn't so long ago that when urban and transit advocates would meet, cars as transport would be completely off the table in favor of biking or light rail. That's changed with the advent of autonomous cars, yet it doesn't seem like the companies behind this technology have caught wind. For instance, it's significant that the initial signatories on this pledge include just two companies, Uber and Lyft, that are seriously developing autonomous technology. They're the only ones on a notable list including Waymo, General Motors and Aptiv that have had to seriously engage in city politics.